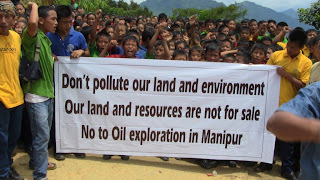 Imphal, Mar 13 : Pointing out that the on-going oil and gas exploration activities undertaken by Asian Oils Private Limited under Jubilant Oil and Gas Private Limited in Hmarram of Churachandpur districts of Manipur has not benefited the indigenous land owners and settlers in anyway and will not do so in the future, the Hmar Inpui (Hmar Supreme House) General headquarters has decided to ban all activities taken up by the companies. This was decided during the first executive meeting of Hmar Inpui, General Headquarters (2013-2015) held at its Head Office in Rengkai, Churachandpur on March 2 last, said a statement issued by the Hmar Inpui today. 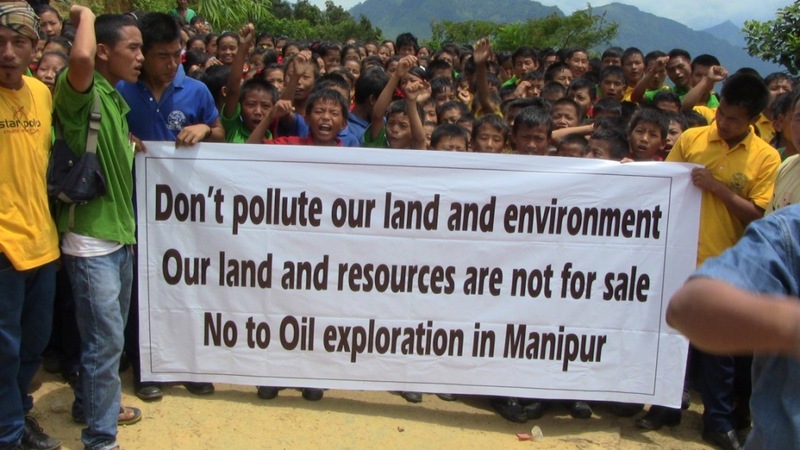 Further, the Hmar Inpui urged the concerned companies to cease all activities, pack their bags and leave the land without any further delay. The indigenous Hmar peoples will try its level best to see that the machines of the companies are safe in their lands and will see that it is with the owners as soon as possible, the Hmar Inpui statement issued by general secretary, David Buhril and President Dr John Pulamte said. The Hmar Inpui in particular and the Hmar peoples in general will not have any say or responsibility on the life and security of shirker of this decision and appeal, it added.